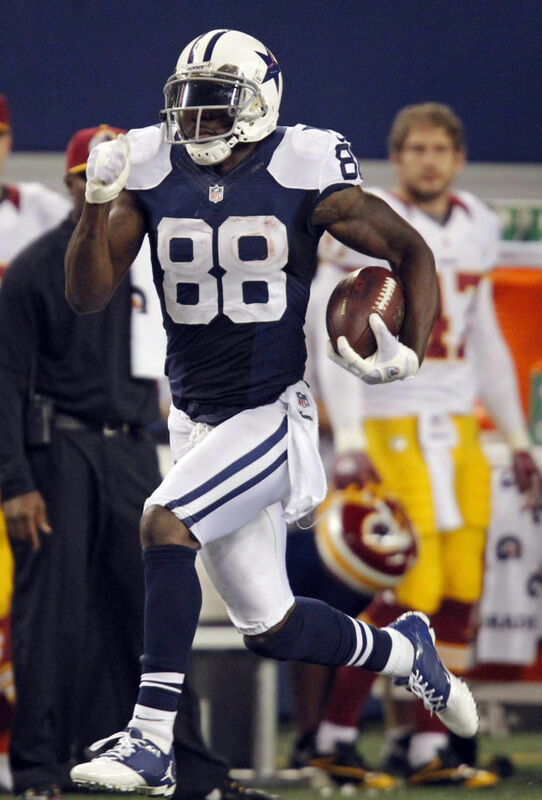 Dallas Cowboys wide receiver Dez Bryant completed the first 1,000+ yard, 10+ touchdown season of his career wearing Jordan Speed Jet TD football cleats. Dallas Cowboys wide receiver Dez Bryant completed the first 1,000+ yard, 10+ touchdown season of his career wearing Jordan Speed Jet TD football cleats. It turns out that Dez putting up big numbers in the Jumpman was a sign of things to come, as he announced that he's officially joining the Jordan Brand on his Twitter account earlier tonight. If true, Bryant would be the latest addition to a receiver-heavy roster that includes Hakeem Nicks, Michael Crabtree and Andre Johnson. Other Jordan Brand football athletes include Dwight Freeney, LaMarr Woodley and Josh Freeman. As of now, the Jordan Brand hasn't confirmed the signing, but one would assume an announcement is imminent if Dez is putting it out there tonight. We'll continue to follow the story here at Sole Collector.